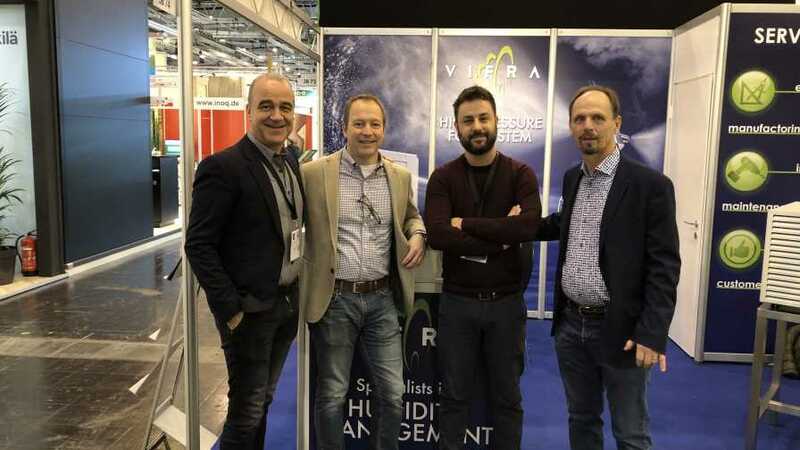 Dramm has announced it is partnering with Vifra, specialists in humidity management, to offer Vifra solutions to North American growers. Vifra focuses on helping growers optimize their greenhouse humidity. Founded in 1994 by Vincenzo Russo in Rome, Italy, Vifra produces high-quality systems designed for easy maintenance and long life. Dramm will offer Vifra’s high-pressure fog and dehumidification systems to North American growers to help them optimize their growing climates. Vifra’s systems work to increase or decrease humidity as conditions demand. Often, these systems can be used in coordination with each other to adjust humidity levels throughout the day, allowing for the right climate for any crop at any time of day. Vifra’s high-pressure fog systems operate between 1,000 and 1,800 psi, depending on the existing humidity and crop needs. These systems utilize specialized nozzles and stainless-steel construction. Specially designed fittings and connections prevent the need for guide wires make installation easy. Vifra systems use custom pumps, running at lower speeds, to reduce wear and ease maintenance.